In Ireland’s vibrant, beuatiful and historical Capital City. Annally Bed & Breakfast is Bord Failte Approved and is located in the small village of Raheny, just 4 miles north of Dublin City and just three miles from the lovely picturesque village of Howth. Centrally located, we are just 10 minutes from Dublin airport and convenient to Malahide, scenic walks, fishing, swimming & sailing amenities, sandy beaches, spectacular golf courses and there are several excellent pubs and restaurants within walking distance. 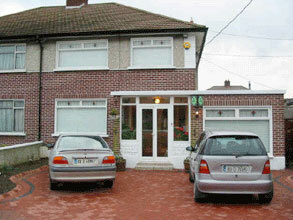 We are situated beside main bus routes and just minutes from Raheny D.A.R.T. Railway Station. Both bus and train routes serve the City Centre and Howth Village.